Marble sinks are beautiful. They instantly upgrade a kitchen or bathroom to a rich custom look. Plus, they work great in both modern and traditional design. 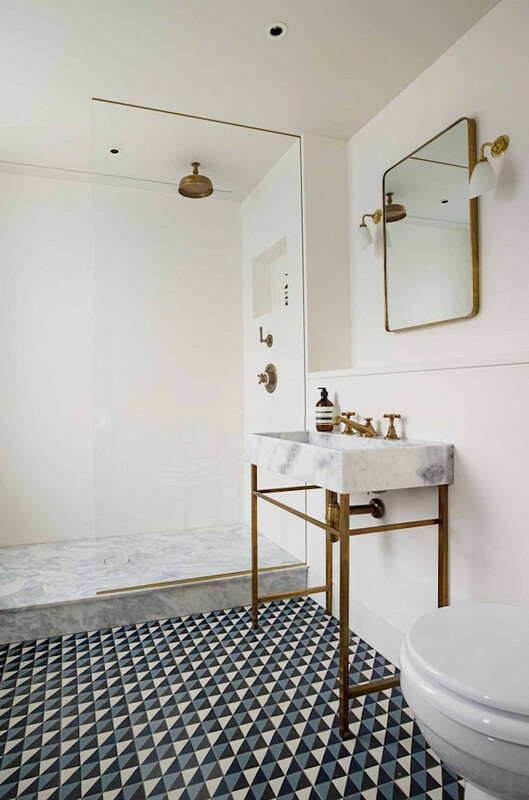 I have been thinking of using one in an upcoming project and found some great examples of different types of marble sinks to share with you today. 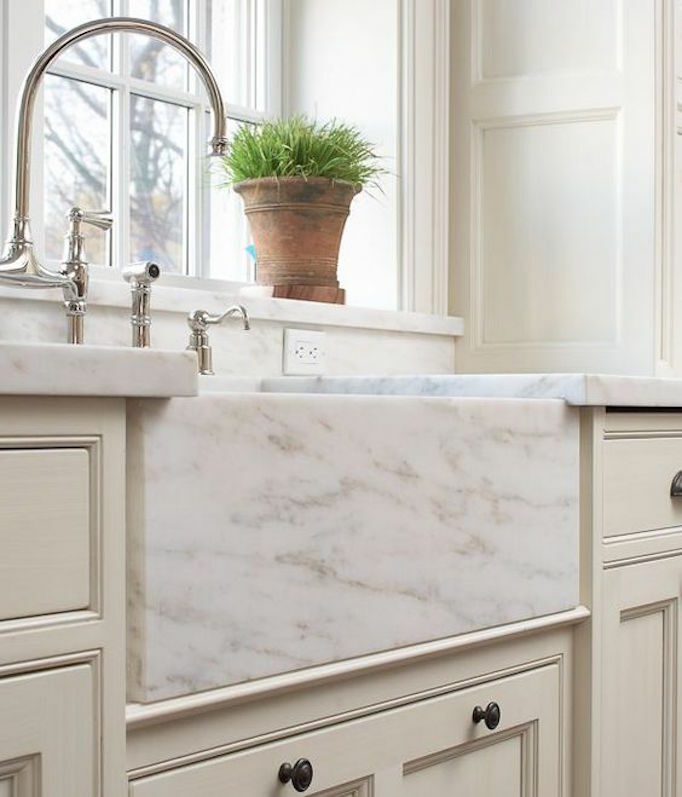 A marble apron sink is a great alternative to the popular white farmhouse sink. It looks equally beautiful paired with rustic wood or painted cabinetry. I would love to use it in a bright white kitchen. 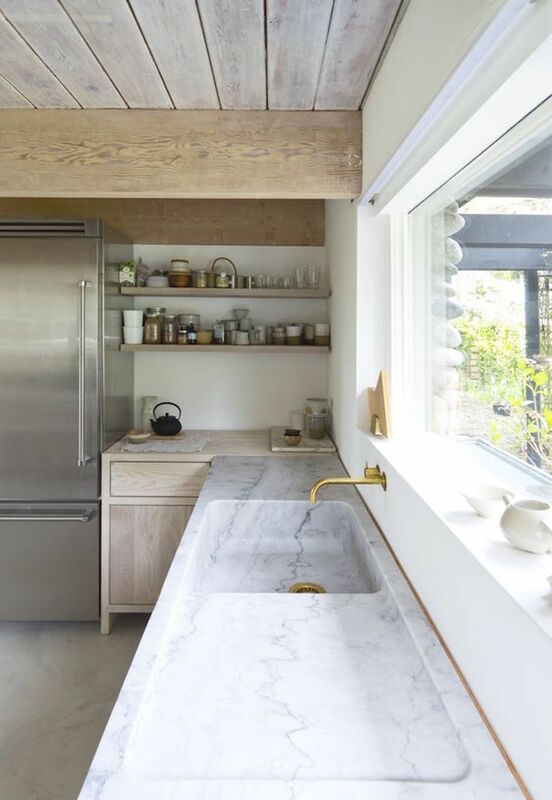 A marble sink paired with a marble countertop creates a smooth seamless line. It works really well in modern and transitional spaces. 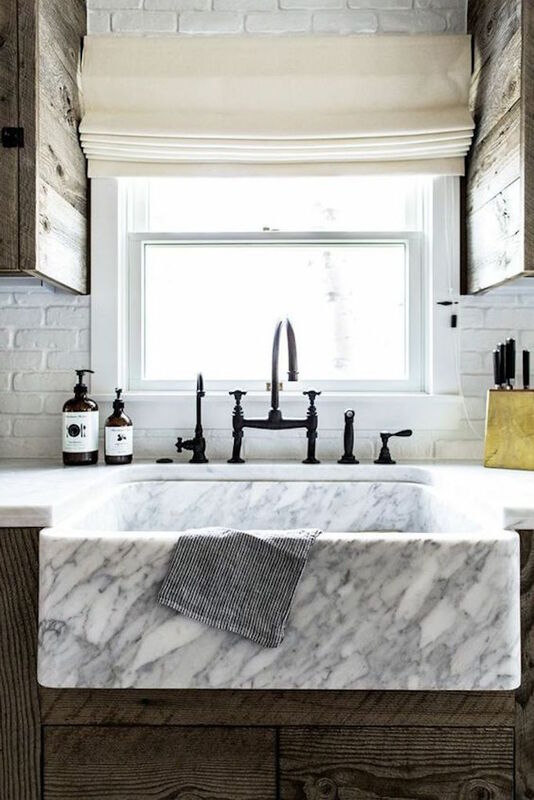 In the images below, an integrated marble sink is used with raw wood for a natural look and then glammed up when paired with high-sheen dark cabinets. 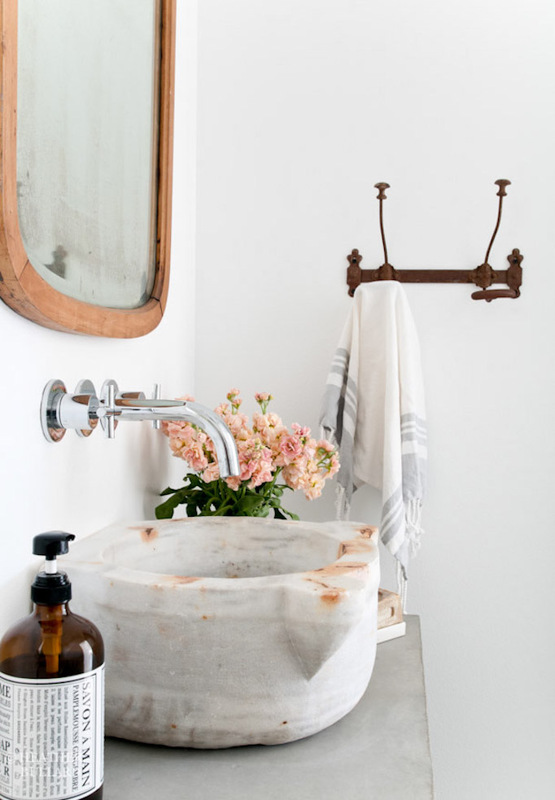 The images I found for marble vessel sinks show how pretty they are in both modern and rustic homes. It would be cool to source an antique vessel to use to add character to a new or remodeled space. 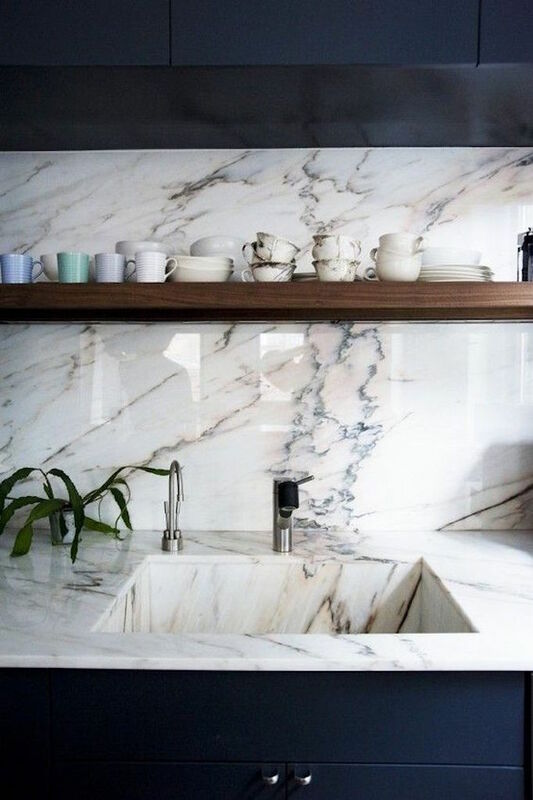 Check back to see how I decide to use marble in my upcoming projects and for other sink ideas I’m exploring. 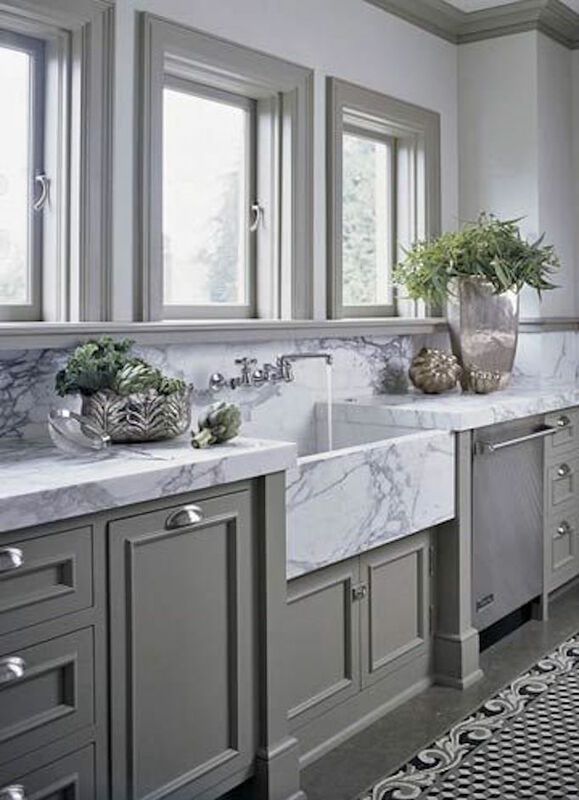 To browse marble sinks for your projects, see some beautiful selections below. Have a great day!